Bahamas Prime Minister Dr Hubert Minnis urged transparency in governance during the Third CEO Summit of the Americas, April 13-14, 2018 being held under the theme: Democratic Governance Against Corruption. The CEO session preceded the two-day Eighth Summit of the Americas. The Prime Minister said that it is the responsibility of government leaders to create the best environment in which businesses in respective jurisdictions may flourish, and that transparency and integrity are crucial in this process. “As leaders, whether in government or commerce, we can all attest that we are often required to make difficult and sometimes unpopular decisions. This includes in the areas of good governance and accountability,” he said. He said that the government of The Bahamas is undertaking dramatic reforms including enhancing provisions for confiscation of assets derived from corrupt means, enhancing the independence and autonomy of the Office of Public Prosecutions and advancing the freedom of information from the government to the public. 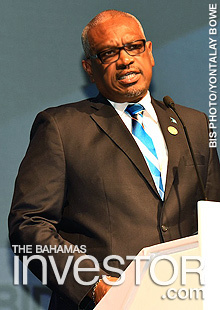 He added that The Bahamas was taking the first steps to establish an Ombudsman’s Office and ensuring an Integrity Commission to spearhead reform and investigate issues related to corruption, financial disclosure, malfeasance and misfeasance, while strengthening the public sector code of conduct and bolstering whistleblower protections. “We seek to implement international best practices that will make us a leading jurisdiction in the hemisphere,” the Prime Minister said. 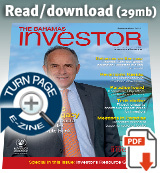 “We were determined to unleash the ingenuity of Bahamian entrepreneurs in order to stimulate, expand and sustain a modern Bahamas economy,” he added. The summit was the first of a series of events with leaders from 34 countries of the Americas. Since its inception, the summit has served as the region’s highest-level process for cooperation on increasing economic competitiveness, fostering growth and development, improving regional and citizen security, and promoting democracy and human rights. The Prime Minister lead a delegation, which included Carl Bethel, Attorney General and Minister of Legal Affairs; Jeffrey Lloyd, Minister of Education; Darren Henfield, Minister of Foreign Affairs; Joshua Sears, senior policy advisor to the Prime Minister; Viana Gardiner, chief operating officer, Prime Minister’s Delivery Unit; and other officials. Desmond Bannister, Minister of Public Works, will be the principal speaker at the 6th annual Business Outlook Eleuthera to be held April 26 at Valentine’s Residences, Resort & Marina on Harbour Island. Addressing the Plenary Session of the Eighth Summit of the Americas on Saturday morning, Prime Minister Dr Hubert Minnis said that The Bahamas is pleased that the Lima Commitments are inclusive of tax information exchange, which previously placed small island developing states at a disadvantage.